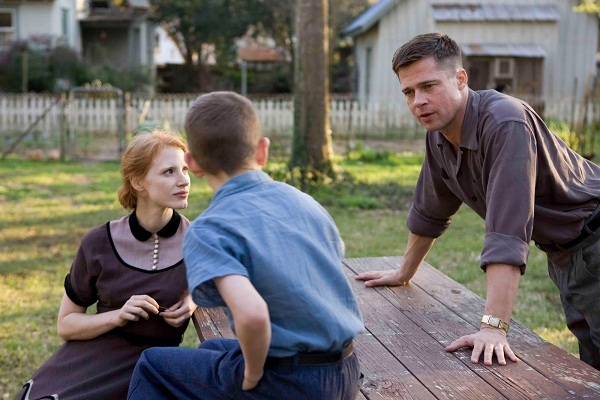 The Tree of Life is a metaphysical journey that centers on a family, living through 1950s American suburbia. The patriarch of this family is Mr. O'Brien (Brad Pitt). He works in a factory and believes in trying to toughen his sons up because kindness doesn't allow people to succeed. He himself is a failed musician, who still loves the piano. Mrs. O'Brien (Jessica Chastain) is a far more timid parent, an almost angelic figure. We watch as one of the boys, Jack (Hunter McCracken), grows up and starts rebelling against his controlling father. Shifting to the future and Jack (Sean Penn) is stuck in a modern corporate future. He's still reeling over the death of his brother during the Vietnam War and has had a recent fallout with his father. As these characters question their faith, we are taken back in time to see how the roots of the Earth came to be. 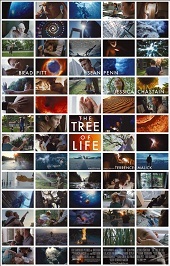 At the end of the year no other film released in 2011 will have reached the same levels of ambition as The Tree of Life. The winner of the Palme d'Or is not a masterpiece or writer/director Terrence Malick's best film. That arguably belongs to The Thin Red Line (1998). It's a deeply flawed picture: overlong, inflated and vague. And yet without these issues you would not have a film of the same scope and imagination. Some early reviews have labelled the film pretentious. But with Hollywood bereft of new ideas, can you really lament an auteur like Malick for his determined innovation? This is an experienced filmmaker, but one who is extremely selective about his material. In his last two films, The Thin Red Line and The New World (2005), Malick attributed warfare to be an extension of modernity, a corruptor of the human soul and the natural world. But his argument in this picture is even more sophisticated: that evil has existed from the very roots of evolution, through man and nature, time and space. The most cinematic representation of this is in a twenty minute montage of the formation of the Earth. It covers the violent explosions of the Big Bang, right into the dinosaur age, as one prehistoric creature slaps its paws down onto the skull of another. In placing this episode deep into the film Malick avoids imitating the opening of 2001: A Space Odyssey (1968) to enhance the unique thematic concerns of his own film. In moments of grief the characters phase the question, assumedly addressing God, 'where were you?' The placement of this montage suggests they are asking in their minds how they reached this point in time, where God allowed us to become a part of a violent nature. But the film is most engaging when Malick returns to the suburbia to develop the characterisation of the family. 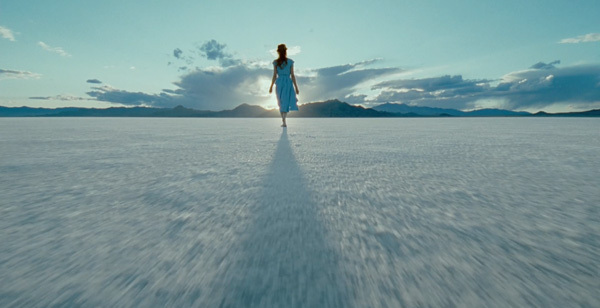 Malick was born in Texas, during this same era, so these scenes hold an additional power for being autobiographical. And we assume that there is also a personal level of guilt here too, as we see the boys growing up, developing the flaws of ordinary people. The images of a new born baby are juxtaposed with moments of jealousy and self-importance. Malick's formal control over these scenes is delicate. He uses tight framing and low angle shots to give a child-like perspective of curiosity to people and objects. There's truth in this because children always see adults as giants. And Mr. O'Brien becomes a God-like figure, from whom Jack gradually separates himself. O'Brien is unrelentingly repressive. He's frustrated that his dream has already failed but also determined to show his sons the correlation between ruthlessness and survival. Pitt is sublime; perfectly cast as a raw and painful representation of failed ambition. He embodies this character's toughness, aggression and self resentment. And Jessica Chastain, an actress I'm admittedly not familiar with, shows tremendous maturity with a performance of the rarest kind. Her inner torment is displayed not through words but through the most fragile expressions of a deeply passive individual. What a beautiful talent. But the tension between O'Brien and Jack is so honest and powerful that some of the scenes in Pitt's absence feel amiss. It's often deliberate, showing how children drift through life, but several scenes lose their meaning and could have been shortened considerably. Heavy criticism has been directed at Sean Penn's portion of the film, mostly because of its ambiguity. For an actor of his calibre, Penn is underused, with little to say or do. Nonetheless, he still has a face that is effortlessly repressed. Symbolism remains equally dense here, often to a fault, but Malick's selective use of colour is intelligent. He contrasts the natural greenery of the suburbs and the dream world with a cold, isolated, dystopia. It's a steel coated nightmare, overrun by thick, grey corporate towers and glass windows that remind us of the world's mindless ambitions and social barriers. "The worlds gone to the dogs," Jack says bluntly. There are endless visual cues like this requiring decryption. And many of these are a pleasure to resolve, provided you have the patience. It's assuring that there is a director willing to let an audience to think for themselves. Two people left during the first forty minutes but most stayed and a few applauded. Whether you grasp the entire scope or not, it would be difficult to admit that you weren't at one point moved by the performances or curious about the visual composition. How many Hollywood pictures will you be able to say that about this year?